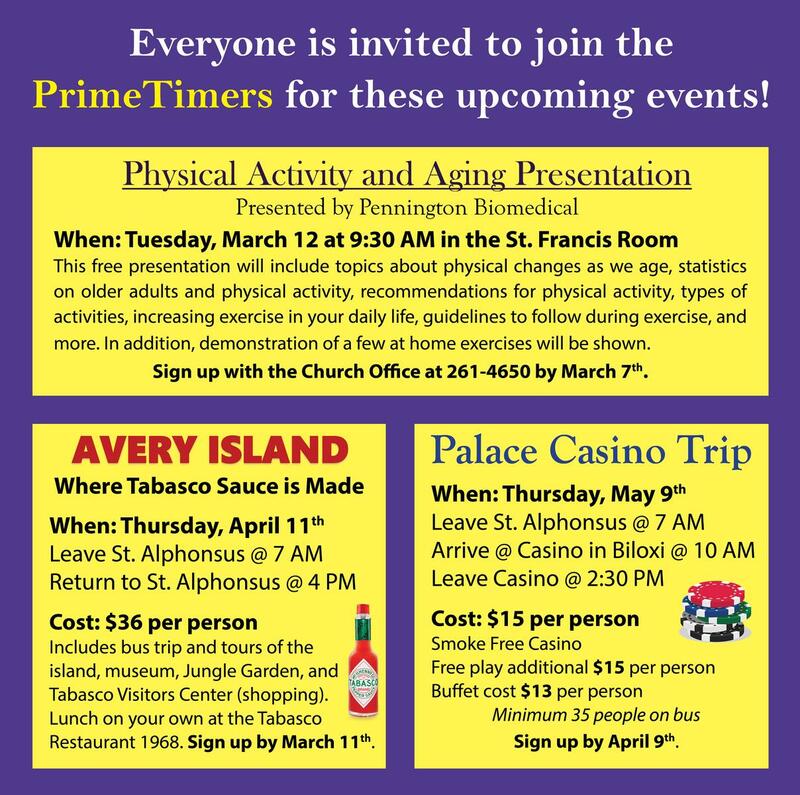 The Prime Timers strive to bring parishioners of St. Alphonsus, 60 years of age or older, together in a social setting providing fun activities and entertainment. There is no membership fee. Anyone 60 and up is automatically a member and invited to all of our events.